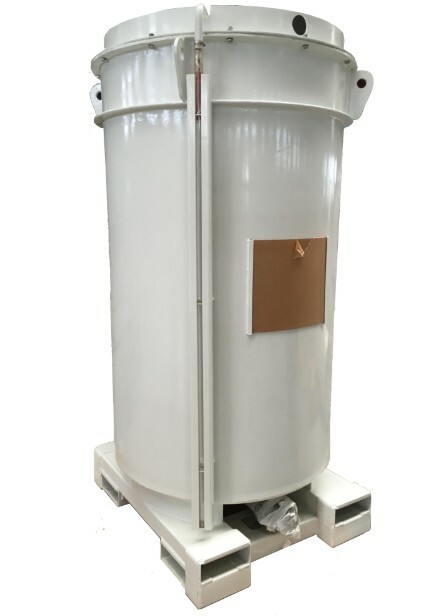 The grease bins are speci‑cally designed for the semi bulk storage, transportation and dispensing of all grades of grease. Based on a reduced footprint, this ensures ective space utilisation when loading into shipping containers and confined areas. The design is based on customer input and field feedback to ensure ease of operation and maximum service life. This feedback has resulted in a unique design that addresses the concerns and problems traditionally encountered with conventional style grease containers. • Materials of construction include carbon steel or stainless steel. • Lifting lugs are optional for top lifting with slings or cables.